Can Campus Carry Laws Fit into University’s Emergency Response Planning? 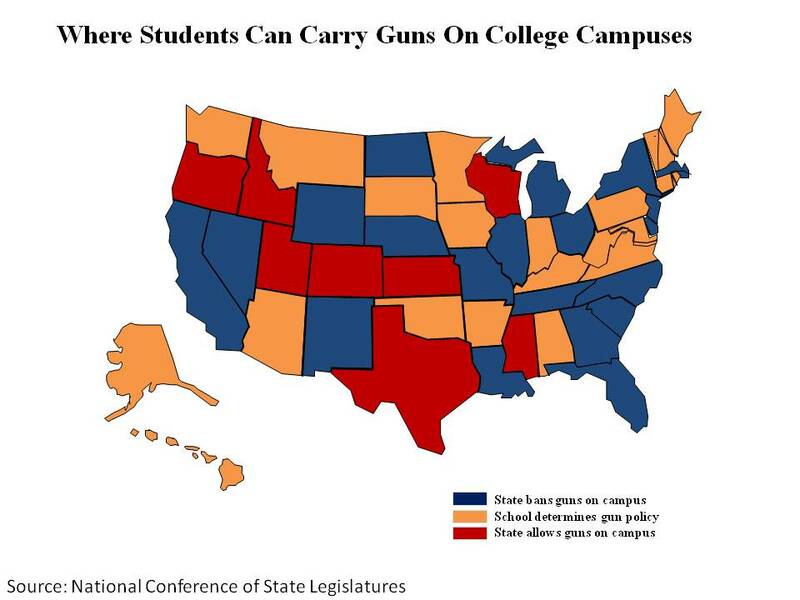 Colleges and universities in seven states permit its citizens to carry concealed weapons on their college campuses. Likewise, the nearly 130 public and private higher education institutions in Texas that have chosen to comply with Senate Bill 11 (as of January 2016, 20 private colleges have already opted out) must develop campus carry policies that balance compliance with public safety. The Bill, which takes effect Aug. 1, 2016, permits concealed handgun license (CHL) holders over the age of 21 years old (unless an active duty military or law enforcement) to have a concealed handgun while on a Texas public university campus. Since its passage last spring, public universities have actively sought feedback from students, staff and faculty for the purpose of assisting administration in crafting policies that will soon become each institution’s unique interpretation of state law. Having attended the town hall meeting that my university held for its faculty and staff, the meeting enabled attendees to get clarification of the law, to ask university administration representatives about our tentative policy design and to offer suggestions for “gun-free” locations on campus. While those who were vehemently against the idea of students carrying handguns on campus occupied a fair amount of the discourse, several audience members raised questions about the preparedness for an active shooter situation or a situation where an individual is actively engaged in killing or attempting to kill people in a confined and populated area. For example, does the administration plan to install doors that open inward to provide extra security in an active shooter emergency? One could argue (as several audience members did) that if at least one person in every class is armed, instead waiting for first-responders, armed individuals could attempt to take the shooter down, thus rending new doors unnecessary. Because active shooter situations typically only last for 10 to 15 minutes, according to Department of Homeland Security (DHS), handgun carriers would be able to spring into action much quicker than law enforcement. Still, as intuitive as the argument may be, I couldn’t help but to wonder how campus carry laws could fit into university’s emergency response planning. The DHS Active Shooter Preparedness Web page provides a wealth of information about free courses, materials and workshops to prepare for active shooter situations and to help employees and managers prevent and prepare for potential incidents. DHS’s stance is quite simple: run (first), hide (second) and fight (third) but “only when your life is in imminent danger.” Noticeably absence in the description of fight is the most obvious solution: shoot! According to E. Floyd Phelps, the retired director of fire safety at Southern Methodist University and current chairman of the Fire and Life Safety Council for ASIS International, no matter how much training CHL holders have, “Police are still the best responders and most able to handle a situation involving a firearm.” This is a major reason why DHS and universities do not encourage this approach. Ronald D. Stephens, executive director of the National School Safety Center, encourages campuses to be proactive before crises occur. 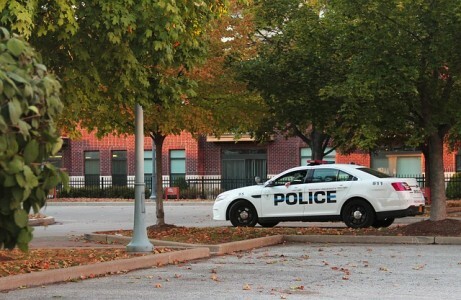 They can make sure concealed carry license holders have a comprehensive crisis management plan and keep a list of the individuals on campus who have the skills and training to handle biological and chemical agents and to administer CPR. This information can help security staff and first responders improve responsiveness and potentially reduce the number of fatalities. Ultimately, in the critical moments of an active shooter situation, plans that include CHL holders as part of university’s emergency management preparation could lead to saving even more lives. 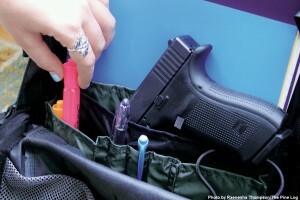 2 Responses to Can Campus Carry Laws Fit into University’s Emergency Response Planning? Almost all the private colleges continue their ban of guns on campus. I have a lot more confidence in the administrators of those schools than in the politicians. Ban of guns on campus right and best way to stop Terrorism.